I thought it was about time I finally posted this. I've got to tell you, it's taken a long time because I either kept adding to my collection or didn't have sample images. I still wouldn't say it's 100% complete but keep checking back as I will add to it in the future. 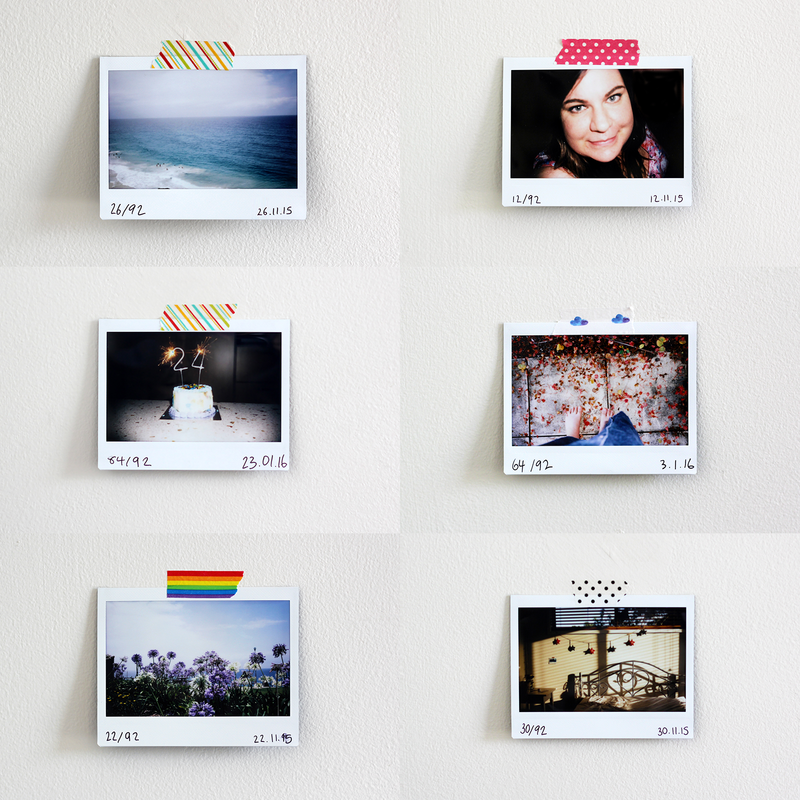 Everyone wants a Polaroid camera. 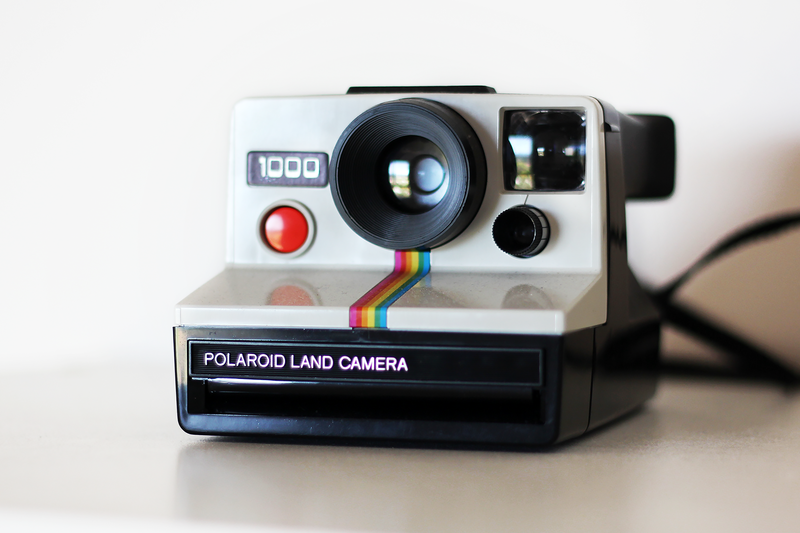 Even if you've tried other instant cameras, everyone knows of Polaroid and loves the classic look of their images. 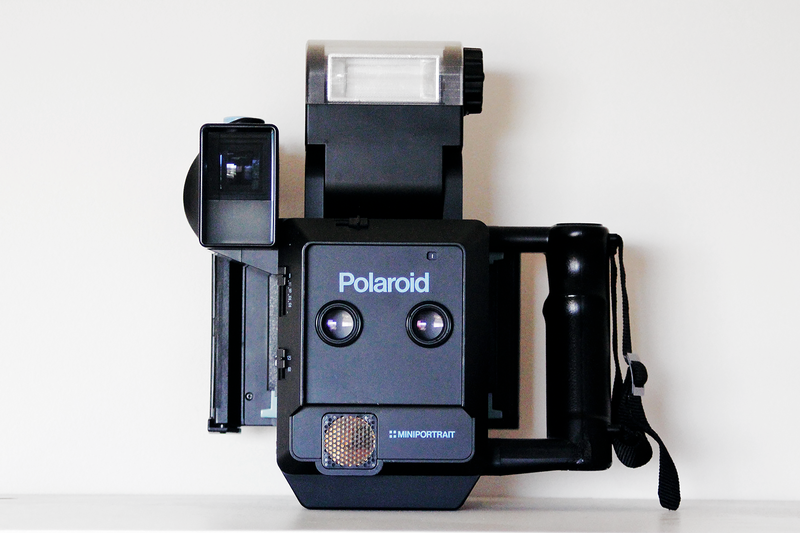 Polaroid has dissolved and been taken over by other companies now, so The Impossible Project stepped in to bring Polaroid back. 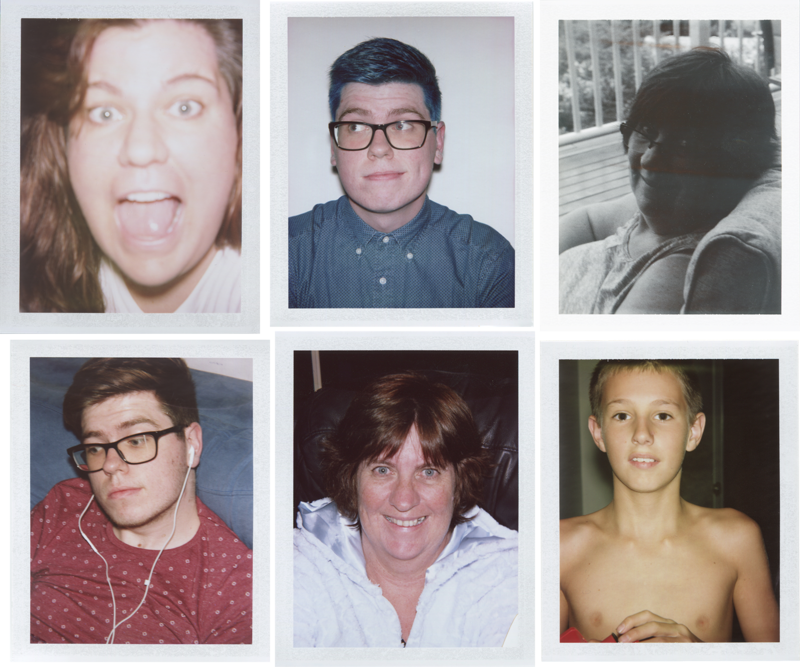 I've had varying results with The Impossible Project's SX-70 Colour film and have had more consistent results with the Black and White. 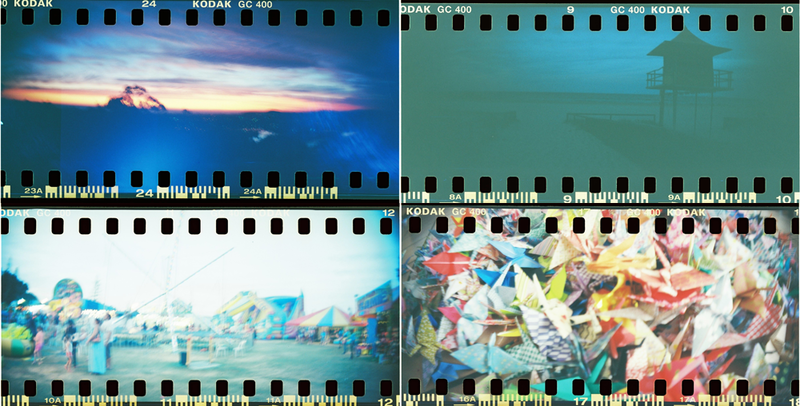 The first pack of colour film I tested produced the top three images below, and the second pack (Gen 2.0 film) produced the bottom middle image. That was the only image I liked from the second pack I used as the rest were far too green-toned for my liking. In future I may only use black and white film with this camera and colour on my Instax Wide, as unfortunately Fujifilm have not produced black and white film yet. This camera in particular has an issue with blurring - it's very difficult to not get a blurred image as the shutter speed is very slow. You can of course get some great images as a result of that, but more often that not it's blurry when you wanted it to be sharp. 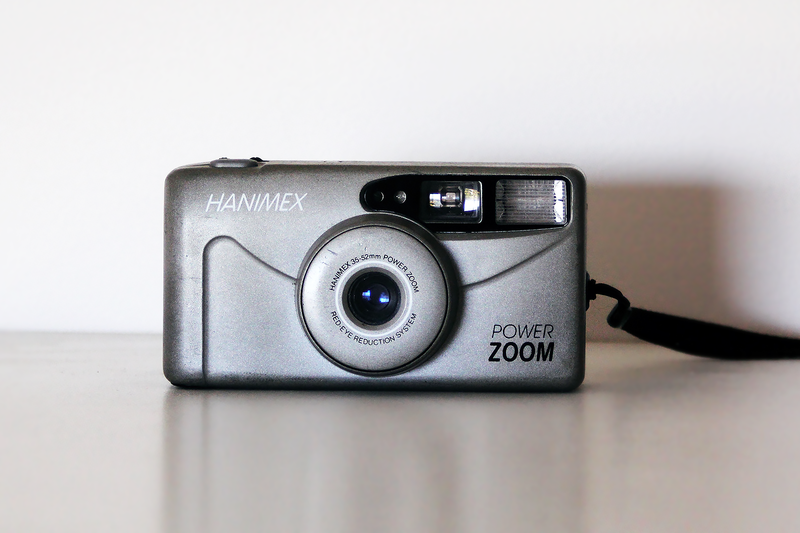 This is a super basic camera but you don't get great results, so I wouldn't recommend picking this one up. If you want a real Polaroid camera and are willing to put up with the obnoxious price of film, get an SX-70 - it's what I plan on doing eventually. Lens specifications: It came with a Auto Zoom CPC CCT 28-80mm f3.5-4.5 lens but I bought the Pentax-M 50mm f/2 manual focus lens and have been using that ever since. 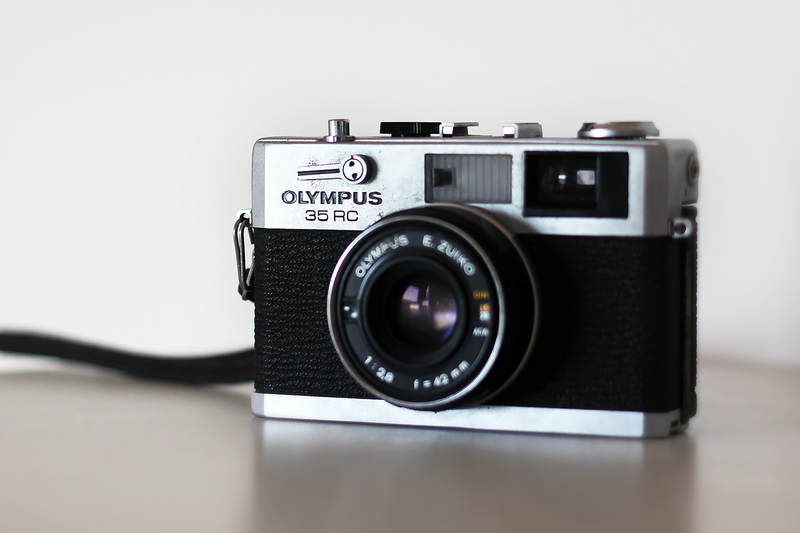 This is my favourite 35mm film camera. 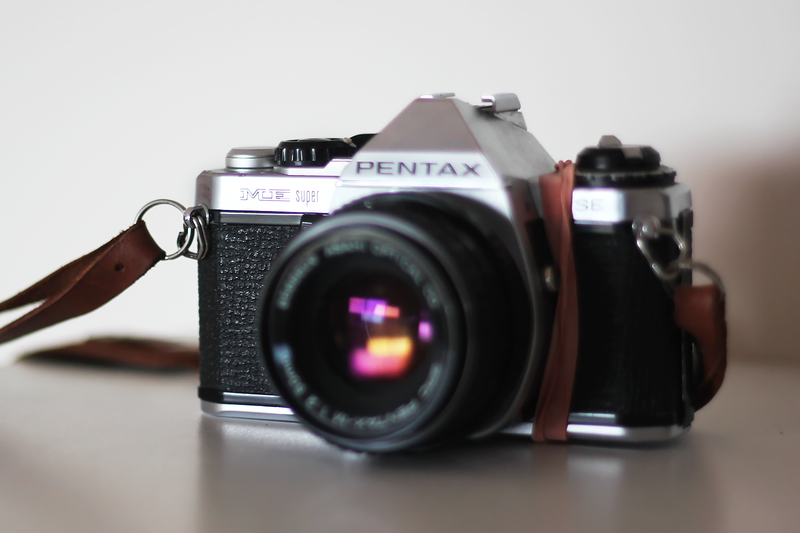 It turns out that I'm a Pentax girl. I love the lens and the camera itself. 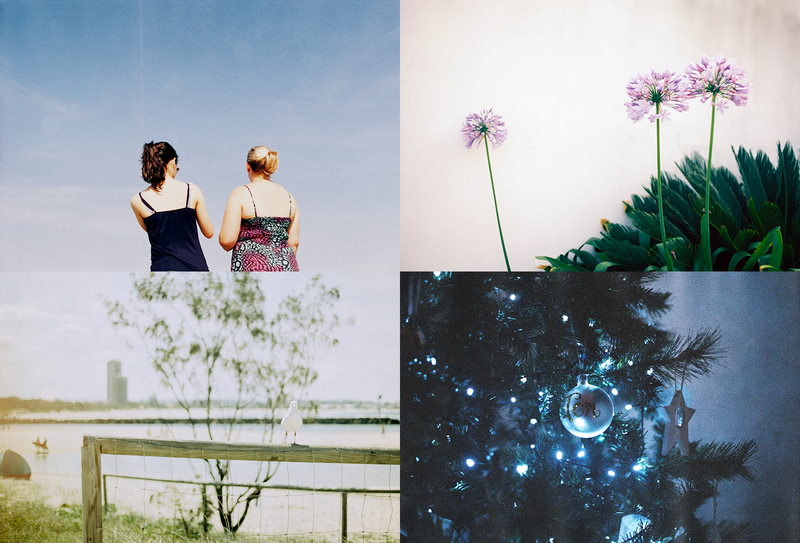 I've been really happy with the shots I have gotten back from it - more than any other film camera. 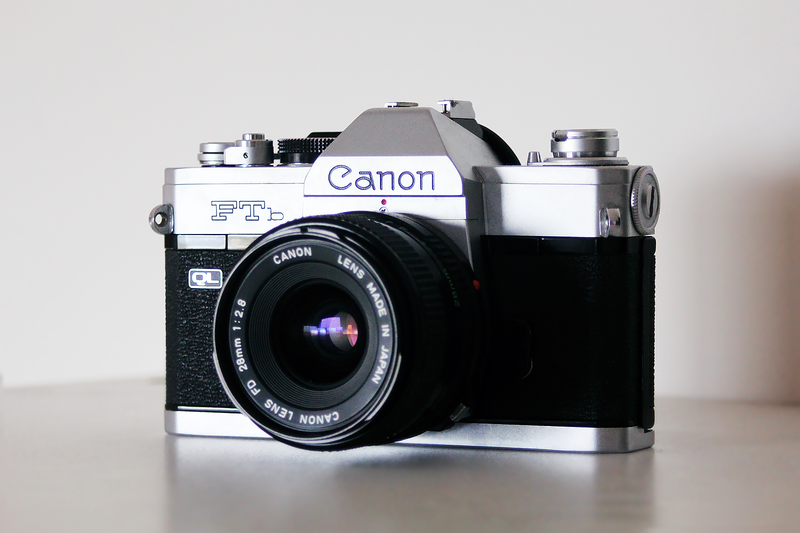 It's smooth to use, lightweight (as far as SLRs go) and I just love it. The one problem I have with it at the moment is that the back won't stay closed - for now I've just put some rubber bands around it so it looks very well-loved (and not at all tacky). I assume this would be an easy thing to fix but I'm not sure how to go about it at the moment. All of my photos in my 92 Day Instax Challenge were taken with this camera. I previously owned the Instax Wide 210 but I gave that one to my brother when I decided to purchase the 300. There honestly isn't much difference between the Instax Wide 210 and the Instax Wide 300 except for the design and button location. I do prefer the 300 as it's less tacky in appearance and the functions are more conveniently located. 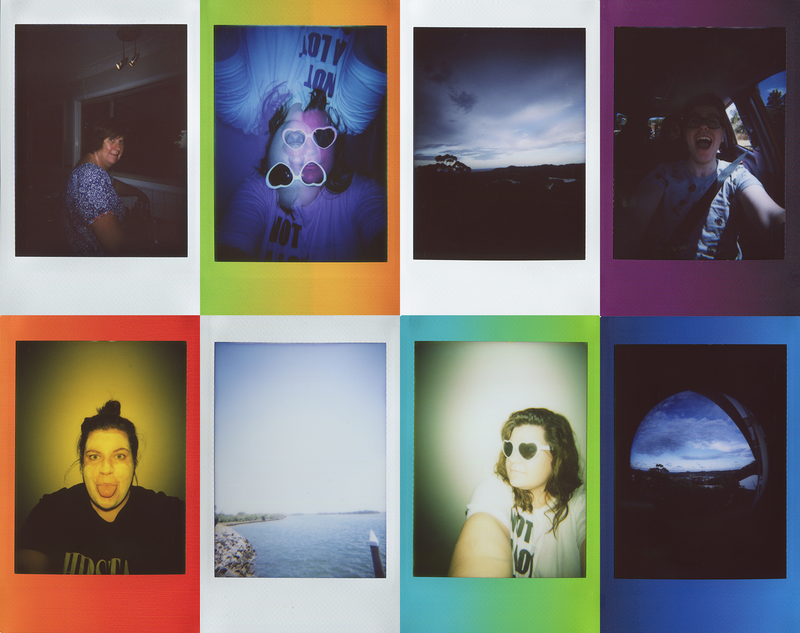 In the future I would like to switch to the Lomo'Instant Wide as it's a bit more advanced and has many more features (you can even plug in a strobe light!) 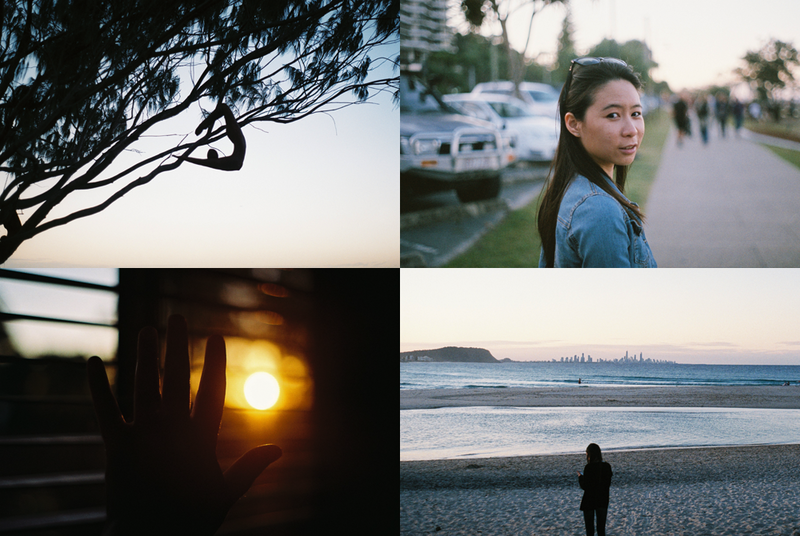 that I am dying to try out but I think the best feature is that you can get up to 10cm close to your subject. The things I love about this camera is how sharp the images are, but something I hate is how easily the close up lens attachment breaks. On both my 210 and 300 the lens attachment only lasted about a month and ever since then I have been using blu-tack to attach it to the lens. What I find baffling is that they don't sell the close up lens attachments as open stock - you can't even get them on eBay, whereas you can for the Instax Mini cameras. Overall, I recommend this camera if you just want to simply point and shoot and not worry about any settings, but if you want something more advanced do some research on the Lomo'Instant Wide and see if that floats your boat. 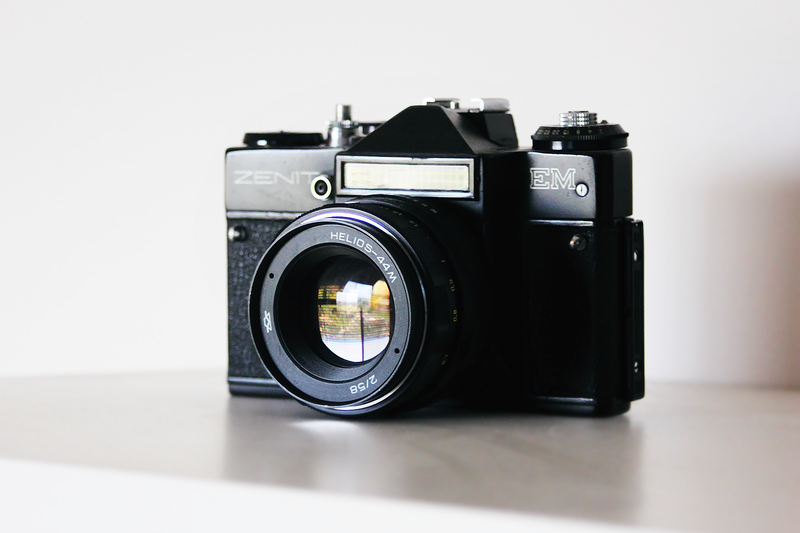 The Zenit EM is definitely not my go-to camera. I've only put a couple of rolls through it and am rarely happy with the results, although you do get some really lovely ones. The viewfinder is really hard to look through and the body of the camera itself is very heavy, making it difficult to carry around. However, the lens is so lovely that I bought an adaptor so I can use it on my DSLR as well. 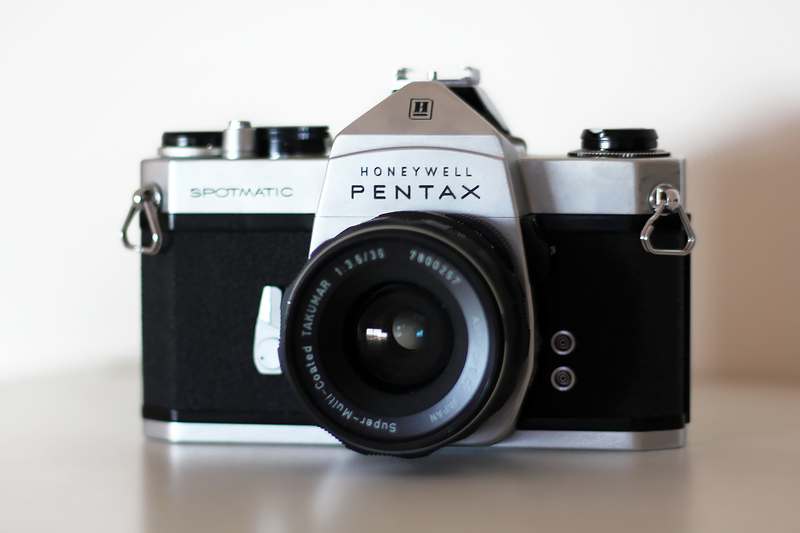 I really should pick it up again and give it another go but it really is very heavy in comparison to other cameras like my Pentax ME Super which doesn't make it easily portable. I've developed one roll from this camera and unfortunately lost the shots but I know remember I wasn't very happy with them as I had used a zoom lens. 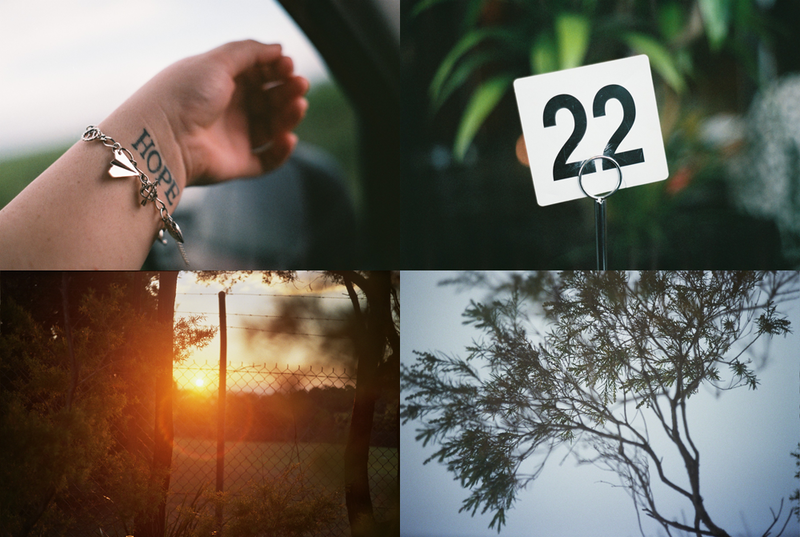 I recently bought the 28mm lens and look forward to getting the shots back. I will definitely add them to this post once they're developed. How much I paid: Nothing - it was a gift. Oh how I adore this camera. I was lusting after it for quite a long time and then a man we know offered one to me out of the blue once he saw my collection! I need to send it off to be repaired at the moment as the shutter would not fire just due to old age and lack of maintenance (it hadn't been used for years), but fortunately this camera had a wide release back in the day and parts are quite easy to come by. I love how easy this camera is to use, particularly with this lens. It is so easy to focus, and I have a lot of fun with it knowing that the lens will save even the most terrible shots. My one and only roll through this camera really overexposed the shots, which I managed to fix in Photoshop, but it's something I will definitely be aware of once the camera is back in working action. I have wanted this camera for months. 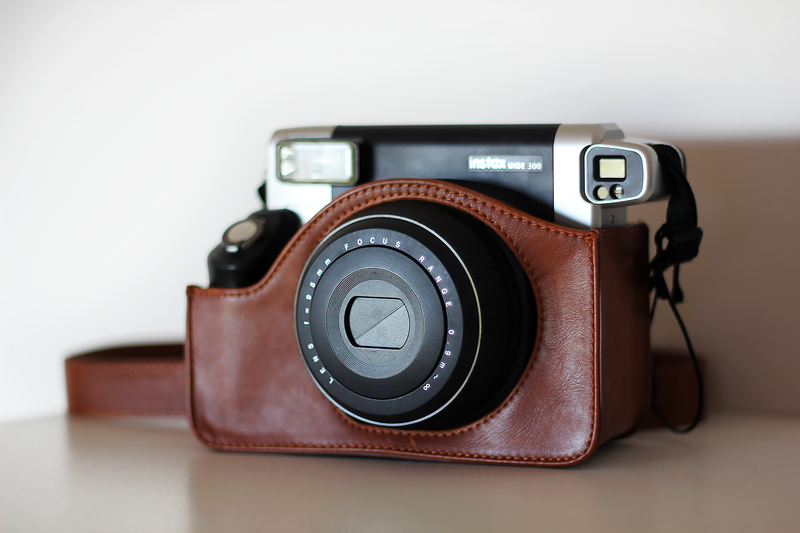 It's essentially a cheaper and more versatile version of the Polaroid 600SE camera. I finally got it for myself as present when I got a new job. I honestly haven't used it much so far as film is expensive and I don't want to waste it. The camera itself can be used for numerous types of film such as 6×9, 6x8, 6x7, 6x6, 4.5x6, but I bought it so I could shoot Instant film, as the other formats have never really interested me. I definitely need to get excited about this camera again. All the other shots I see are STUNNING and my very few attempts are poor. For years I've wanted to try out a fish eye lens and this was my way of testing it out. This camera was a decent price and has been fun to play with, however, I hardly ever reach for it. The quality of the photos aren't great as the lens is pretty poor so I have only shot two full rolls with it since I purchased it in 2013. 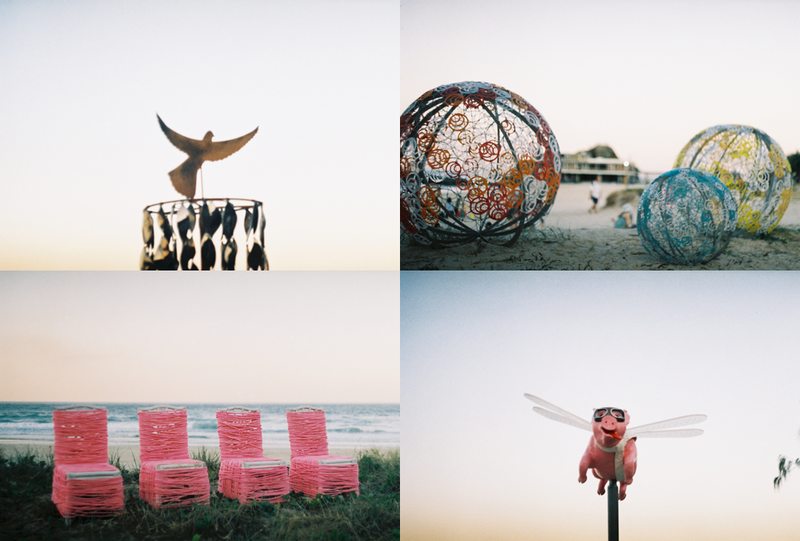 It's most definitely a toy camera - you can have fun with it but you won't get stand out, incredible images. The thing I love about this camera is the sprocket holes. I love being able to see pictures touch the edge of the film; it adds so much to the experience for me. Something that has been difficult with this camera is focusing and getting the exposure right, even though you can't really control it. 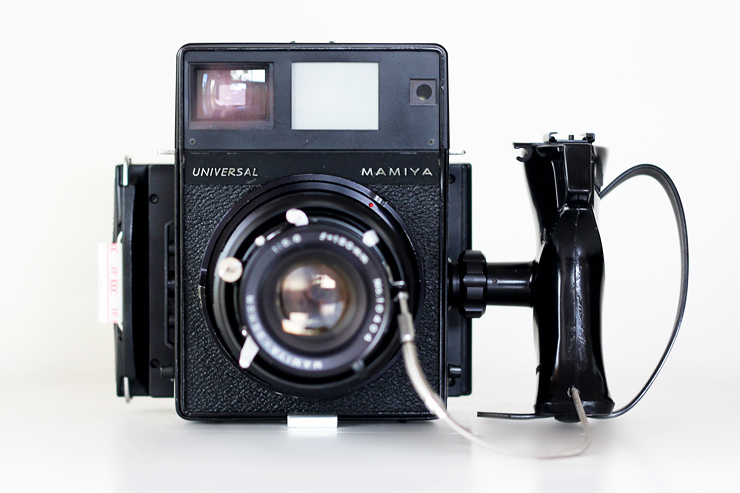 You need to use at least 400 ISO film when using this camera. You can do unlimited exposures with this camera which is awesome and has been fun to play with. My brother bought me the Diana F+ flash after I received my first roll back and seeing how dark a lot of the images turned out. I look forward to seeing how that changes the images. This camera is a great pocket-sized camera and feels great in your hands. Unfortunately this camera broke when on one of my walks and hasn't been able to work since. The shutter is stuck and I've not come across any solutions as of yet and I'm pretty sure it's not fixable judging by the research I've done online. I've considered buying another one as the photos you can take with it are stunning and I didn't get to really test it out, but it's not worth it in the end as I have so many other cameras. 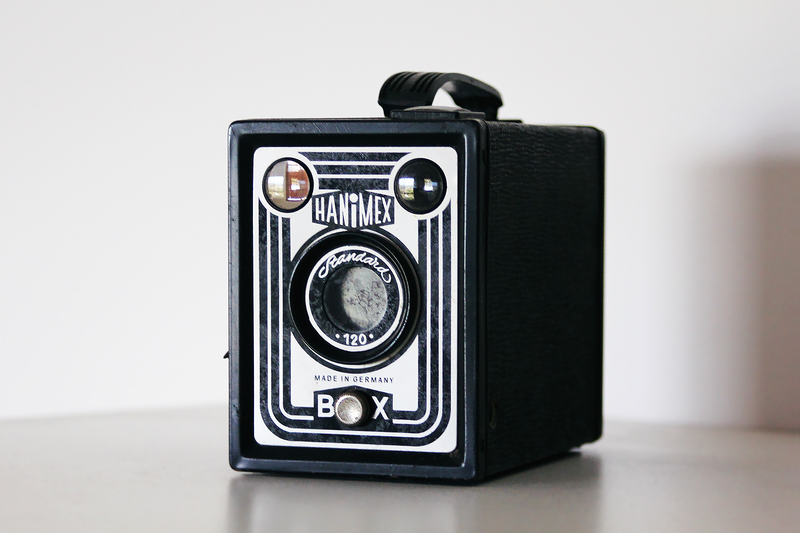 This camera is known for being the camera that Andy Warhol used for his portraits. Let me be real with you - this camera is ridiculously oversized which means you can't take it anywhere with you. The lens is very sharp at its fixed focal length of 220mm and produces nice results. When focusing with this camera you have to do what's known as the "Big Shot Shuffle" where you literally have to move to get the focus correct. I've had trouble getting the black and white film to turn out nicely due to the exposure settings but when you do it's lovely. 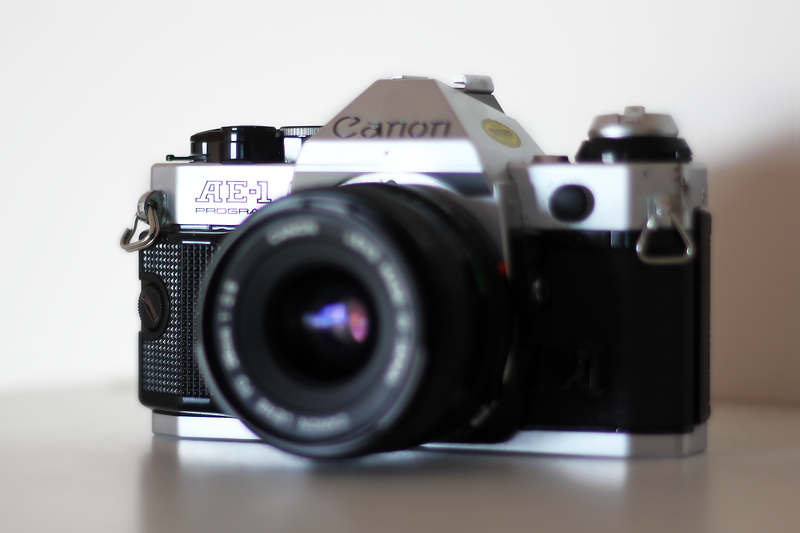 This camera arrived in perfect good condition which made me very excited to use it. It's also my first 35mm lens which is great as even though I love 50mm lenses, sometimes it is too close to what I want to focus on. 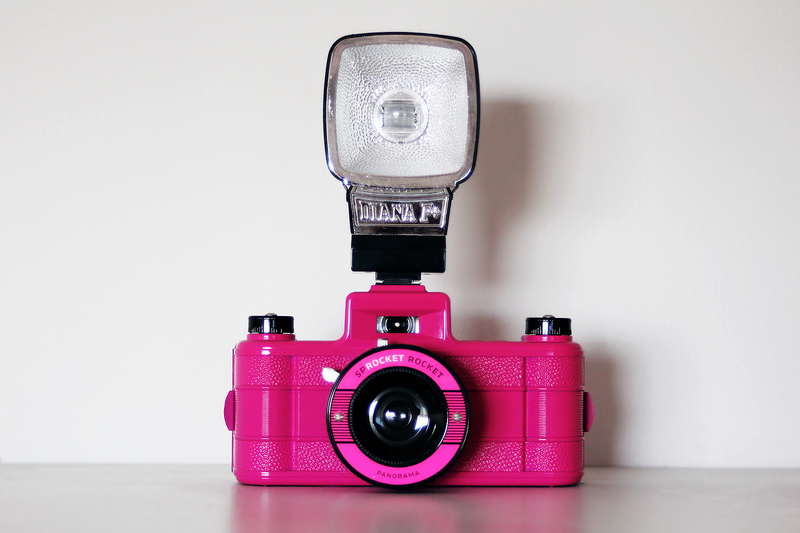 I love using this camera but haven't got any shots back. I will update when I do. 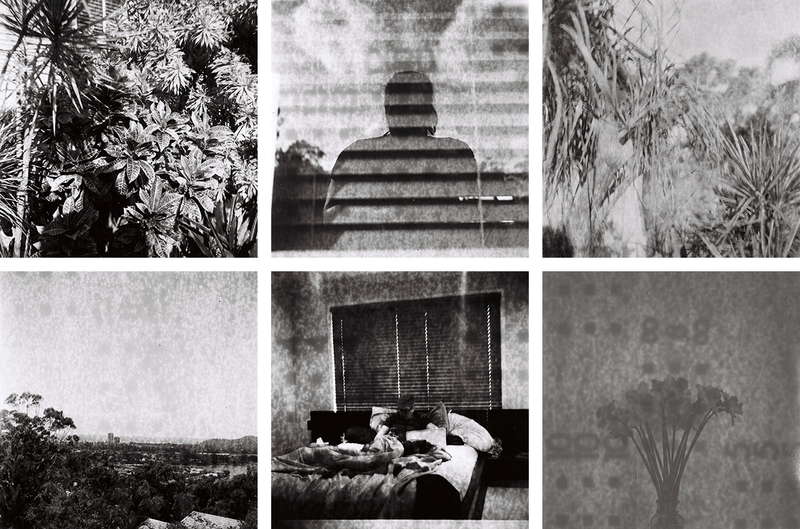 One thing to be aware of with this camera is that there are a couple of different versions. My camera has two lenses, but there is another version with four. It's a really fun setting to play around with and you can either choose to take two different photos, or have both sides the same. I've found focusing to be quite tricky with this camera but I think it comes with practice. 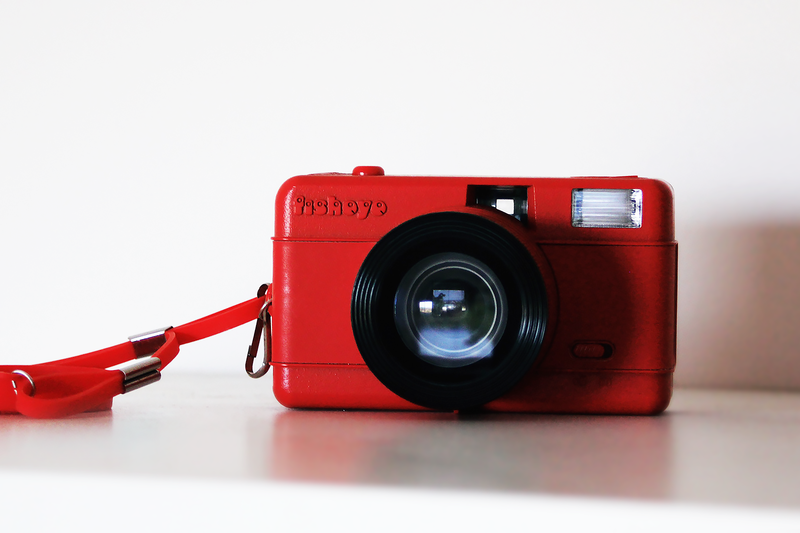 I was so excited when Lomography announced the Kickstarter campaign for this camera! I was hoping they would do the same with the Instax Wide size and they have but unfortunately i haven't gotten my hands on that one yet. 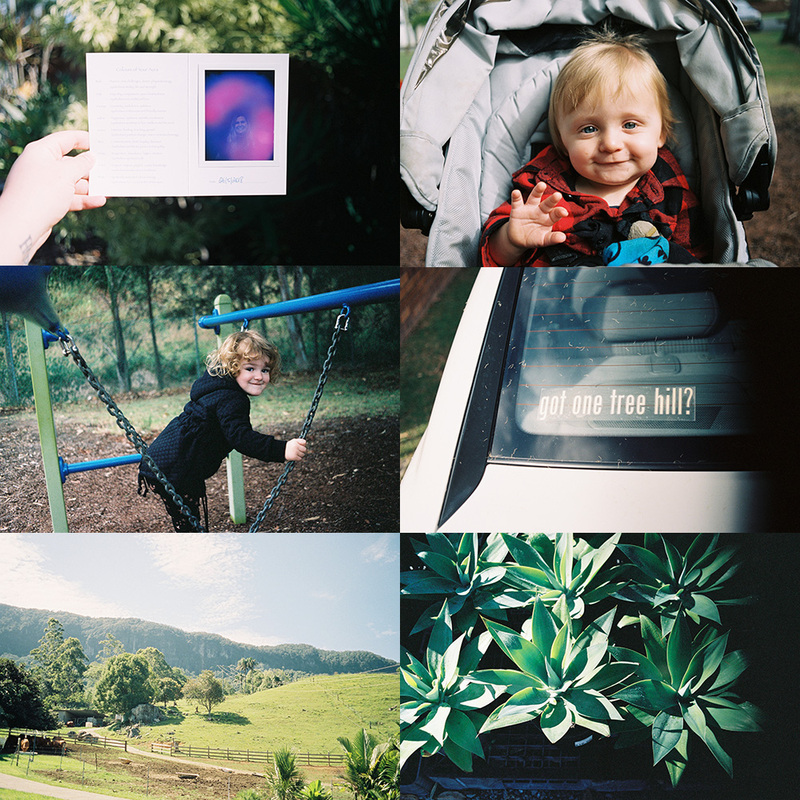 Personally, I dislike the Instax Mini size and prefer the Instax Wide so this camera doesn't get used very often - most of the sample photos were taken in 2014. 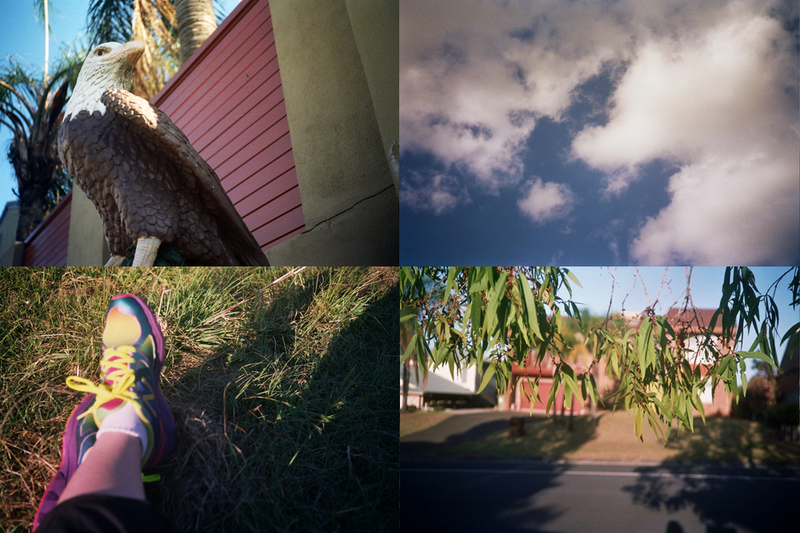 I got the extra lenses and colour filters which I am very happy with - those are a great addition to the camera. 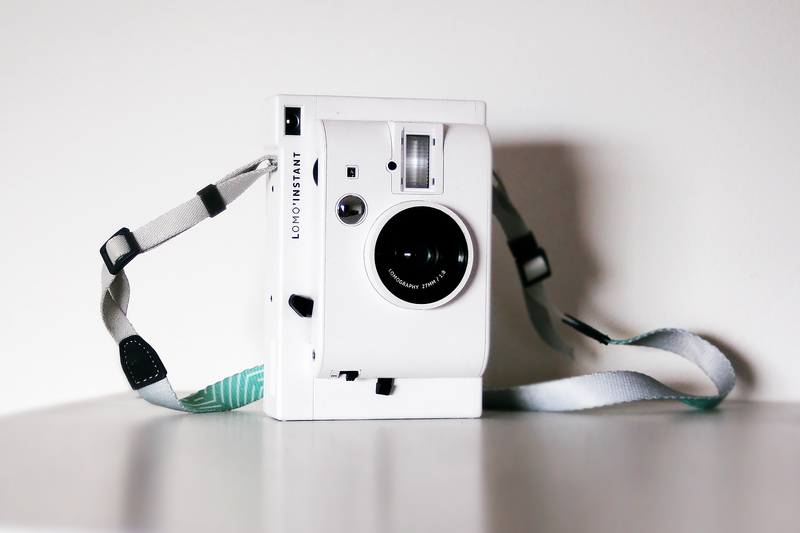 I will probably give away this camera once I am in the financial position to purchase the Lomo'Instant so keep an eye out on my blog for that. How much I paid: I can't find the exact price but it was around $100. I got it in a "Directors Bundle" which comes with the LomoKinoscope, Smartphone Scanner, and 2 x Lady Grey B&W 400 ISO 35mm film. This is quite an interest camera - it's a 'shoot from the hip' type camera and you wind the wheel every time you want to take a frame so it can be as fast or slow as you'd like. 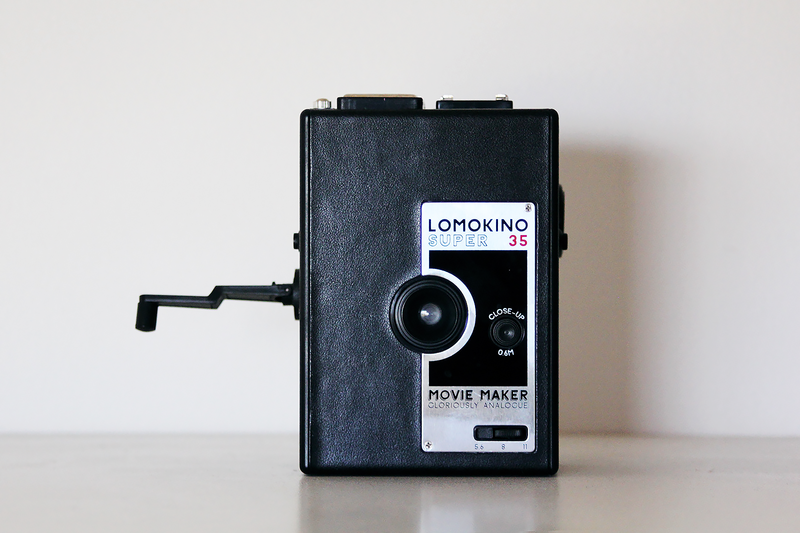 I highly suggest looking it up if you're interested in Super 8 film at all. I look forward to getting my first roll back. How much I paid: It was free from a lady at work who was moving house and wanted to get rid of a bunch of stuff. The film was pre-loaded and I haven't finished the roll yet. It's a fun mystery to unpack once I do! How much I paid: Nothing. 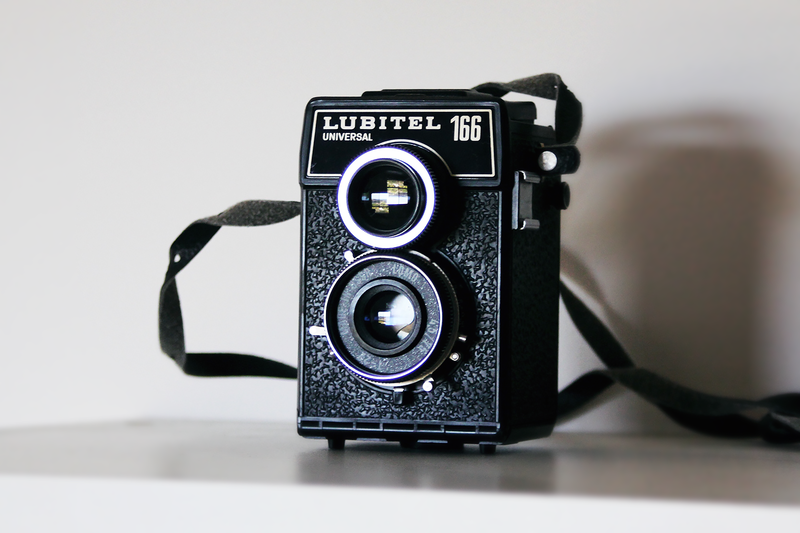 This camera belonged to my family back in the day. Last year I went through a box of old stuff of my dad's and found this buried at the bottom of it. I was so excited to find it and was hoping there was some film in there but unfortunately there was none. As you can tell in the picture the lens is so fogged up that it would be absolutely impossible to sue these days, but I still treasure it anyway. 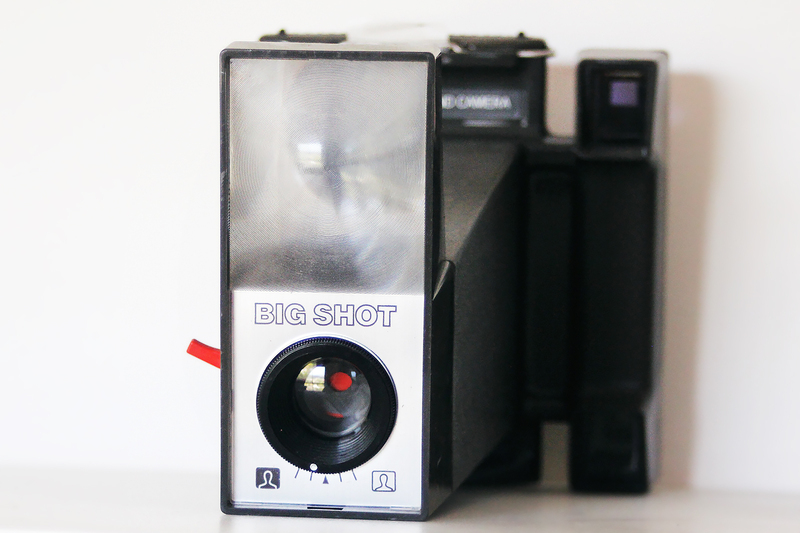 CANON AUTOZOOM 518 SV, POLAROID SPIRIT 600 CL, LOMO'INSTANT WIDE + HOLGA 120 GN COMING SOON!